Figure 151. 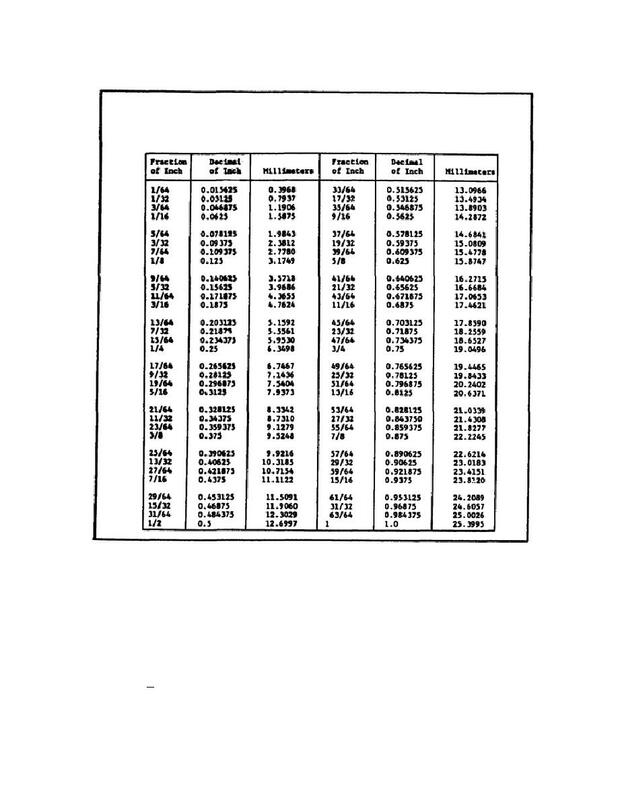 Conversion Chart - Fractions of An Inch To Decimals Of An Inch, and Millimeters. Home > Ordnance Documents and other related manuals > > Figure 151. Conversion Chart - Fractions of An Inch To Decimals Of An Inch, and Millimeters. Figure 150. Conversion Chart- Millimeters to Inches. TO DECIMALS OF AN INCH, AND MILLIMETERS. based on a 55 thread angle, and the crest and roots are rounded. 1 Coarse thread sizes of 1 to 12 and 1/4 to 4 inches.